Sarah Harris uses the Ron Burgundy excuse: “It’s the pleats”. 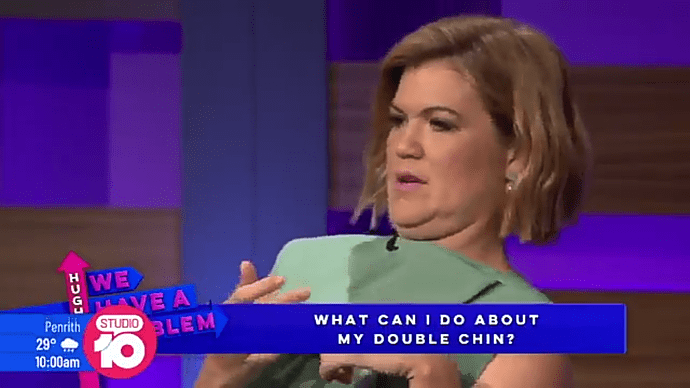 Sarah Harris has hit back at a fan who sent her a private message on social media and made lurid remark about the dress she was wearing while presenting Studio 10 on Tuesday. Richard Reid on the panel. Denise Scott’s interview with singer Bryan Adams is on today’s show. 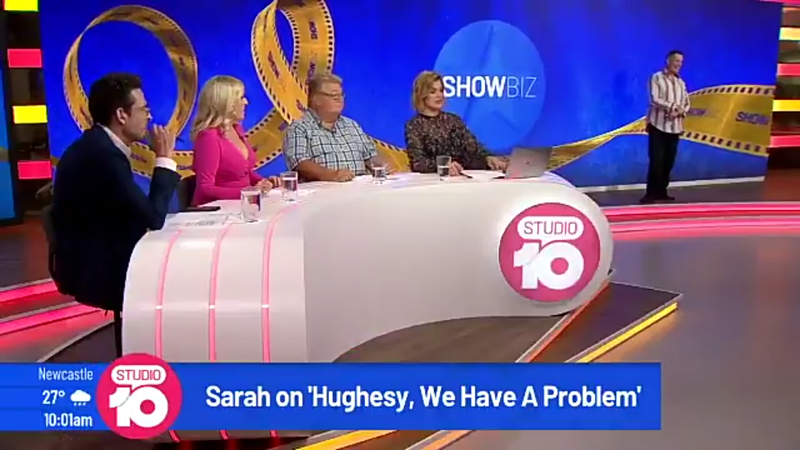 Good moment on Studio 10 as the hosts and audience stand against their far left network colleagues at The Project who are attempting to divide the nation and turn the country against our Prime Minister. 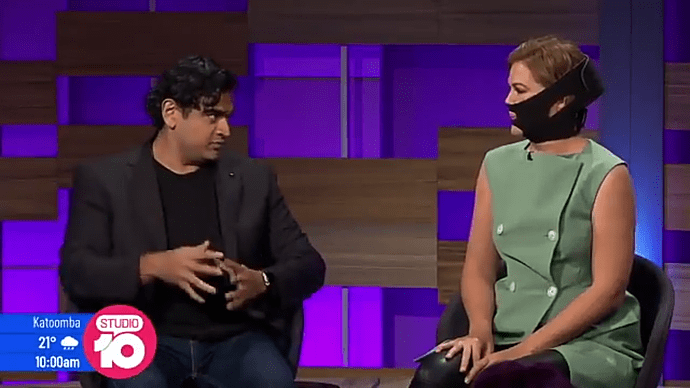 Well done studio ten hosts, standing up for Waleed and the project from threats and bullies from who I call a disgusting prime minister who spreads nothing but fear and hate. Really good. Love how it shows diversity and free-thought within the network. Jono Coleman on the panel with Joe, Angela and Sarah. What’s the theme song for Studio 10? @gregbryant3 @Studio10au @SarahHarris @Joe_Hildebrand @AngelaBishop She’ll be back at the end of the month. 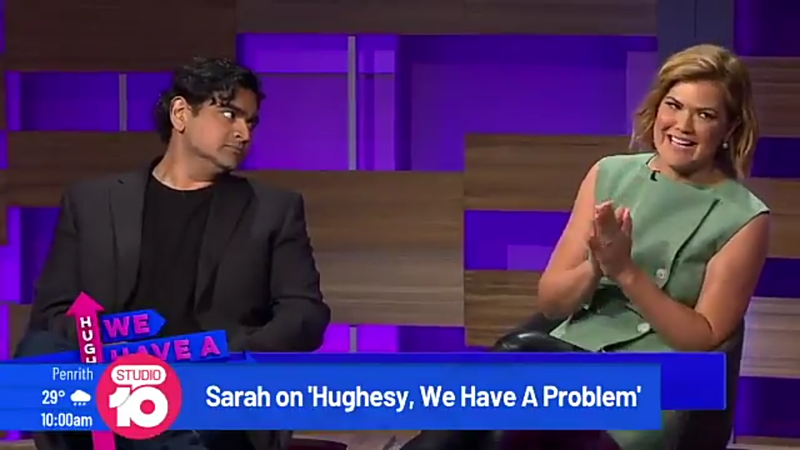 Sarah is on this Sunday’s episode of Hughesy, We Have a Problem. Same problem as Hannibal Lecter? Richard Reid is on the panel with Angela, Joe and Sarah. The journalist abruptly resigned after five years. Saturday marks one year since Jess left. I honestly find that fact so hard to believe, so much has changed for the show. Think it’s safe to say this time last year was the lowest point of Studio 10, but it certainly is looking better now. It is not at its peak (which I considered to be early 2017), but it is getting its grove back. Out of curiosity, does anyone know when KAK or Denise Scott will be back? Not meaning to pressure KAK or upset anyone in anyway, just curious. Was mentioned above, but the EP Tamara said KAK would be back at the end of the month - not sure about Denise Scott. I think they said KAK was end of the month, so maybe next week. Not sure on Denise Scott. Still think KAK was a bad addition to the panel. My opinion of her will never change. Despite the loss of her husband and her fued with Yumi, I think she needs to think about not coming back until she can sort herself ohut. Clearly she can’t be handle working with other people on studio ten it’s been so much better without her. KAK and Ding Dong are back tomorrow. Hehe that’s my cue to stop watching I have enjoyed watching the show without KAK. And Denise Scott replied to my tweet to say that she returns next week. And played an appalling promo begging for Logies votes twice.